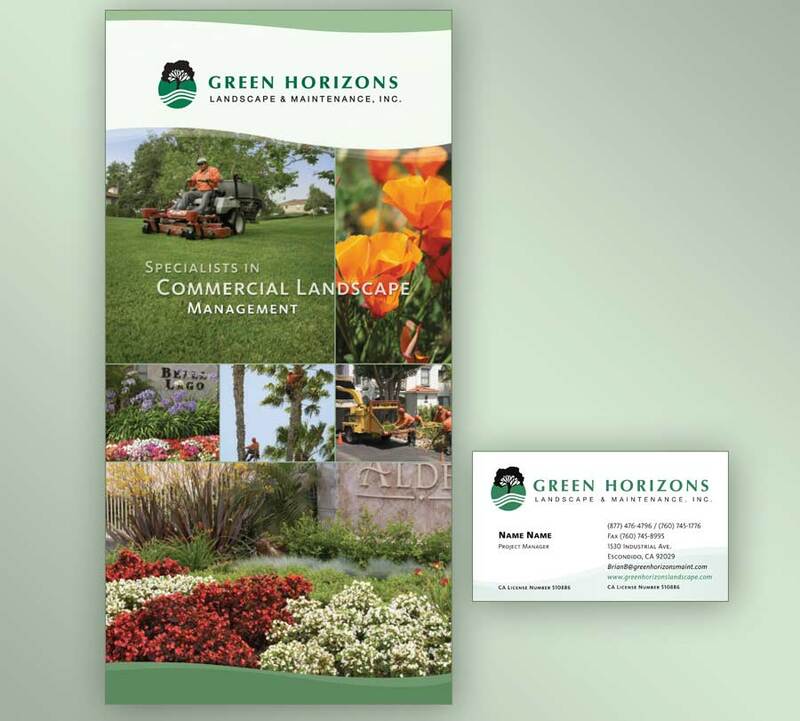 The Challenge: With a growing account team, Escondido-based Green Horizons Landscape & Maintenance, Inc. wanted to improve their marketing materials and project a more professional look. 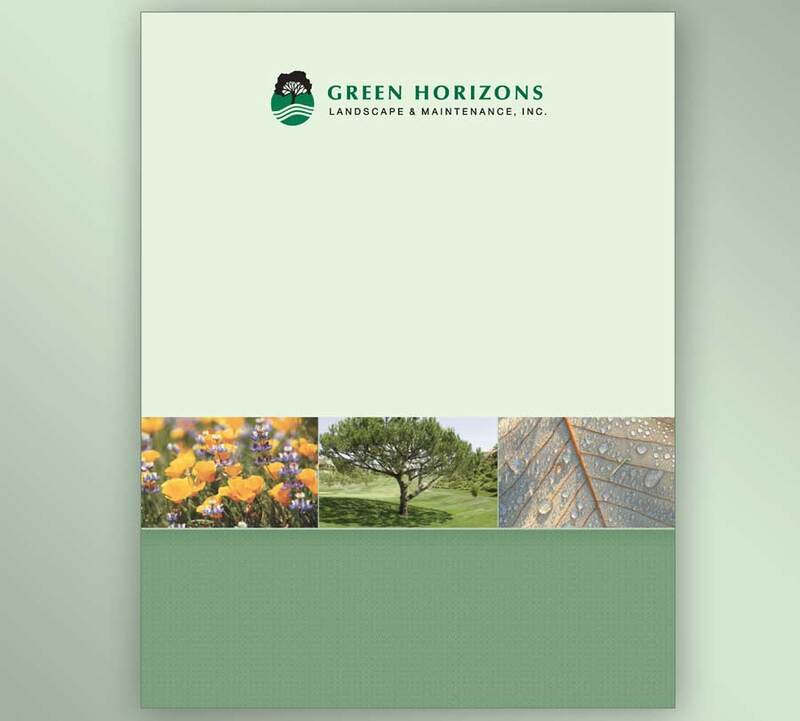 Their existing brochures and past project photographs were not accurately representing their full size and scope, and major new accounts were not represented. The company did not have a web presence. 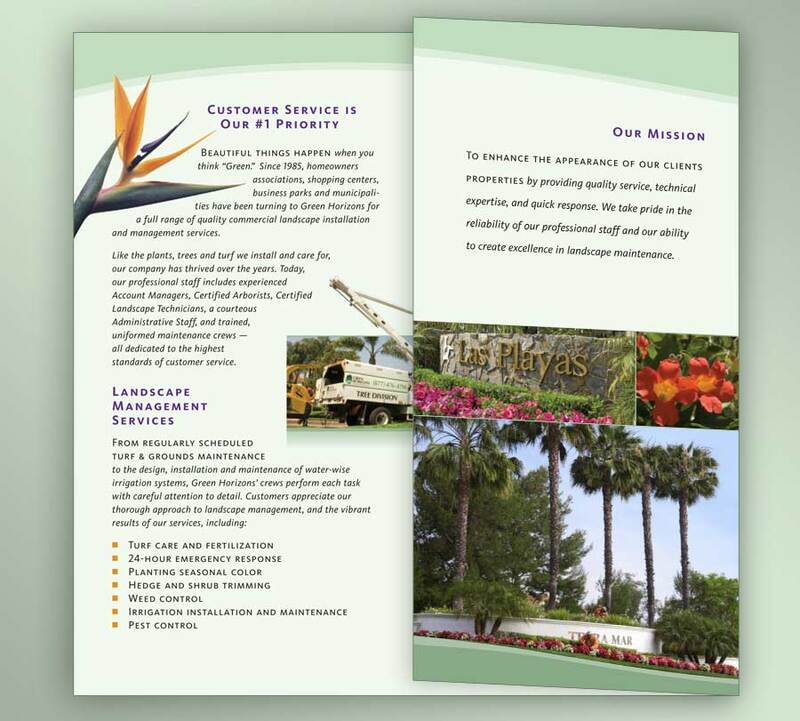 The Solution: A sales brochure, full-color pocket folder and website were designed to support their existing logo symbol. The logotype was altered slightly and new identity pieces created. 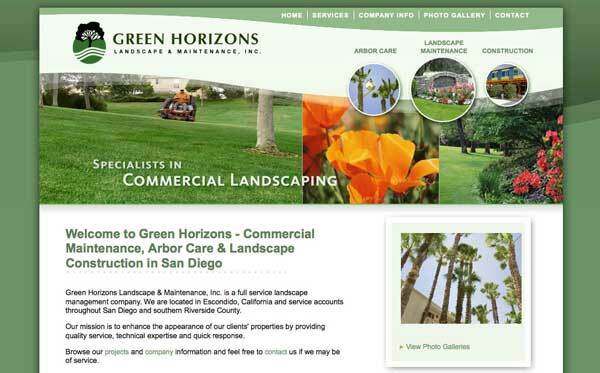 An attractive temporary web page was created, including Google Analytics tracking to establish a baseline for visitor traffic. After a two-day photo shoot, we selected the best shots for use in all pieces, digitally enhancing the collection of new and client-supplied photos. 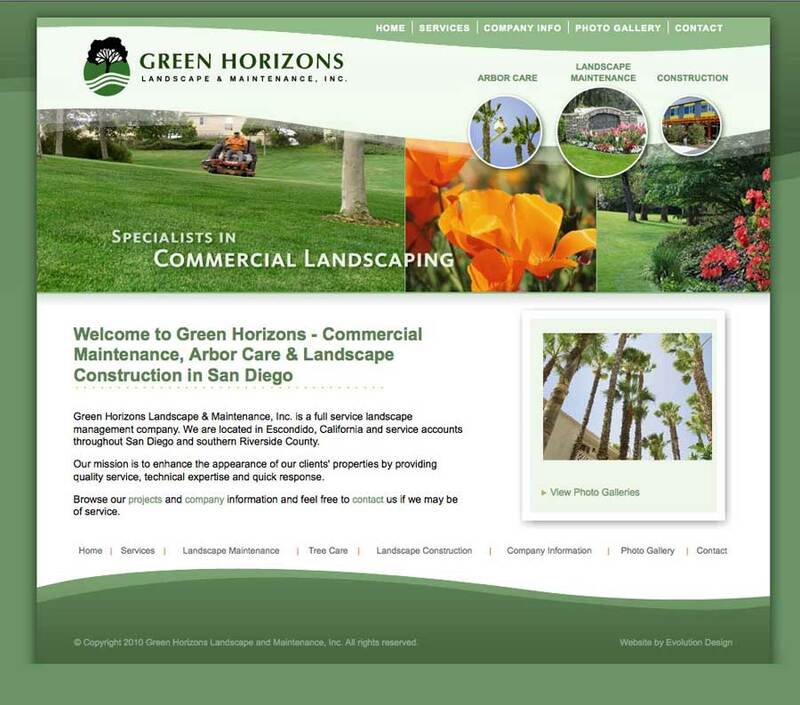 Evolution Design provided website design and HTML programming, creative writing, custom and stock stock photography, web hosting, and ongoing maintenance and visitor analytic analysis.